Off to see the other blogs. Great post, Lenore! Thanks for including the address for that school - I'll be sure to get some books to them. 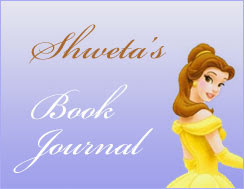 I've been visiting Sweta's blog for a while now and she posts some amazing reviews. This is such a good way to find out about other international bloggers, because I suppose i'm classed as one, seen as the majority of bloggers are from the US. Way to go Lenore! Second batch of mentees. I'm sure they enjoyed being under your win :) Many thanks again for being my mentor too! And thanks for the info about donating to Deep Creek Middle School! I have several boxes of books that I absolutely need to get out of the apartment (I'm downsizing - sigh) and so this is a great help to me. It was so much fun to participate in this. Patty is a terrific reviewer, and it was a pleasure sending my books across borders (sort of) for her sake. This is a great program! Thanks for running it, you're doing an amazing job. 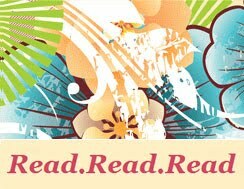 I'm an international book blogger too, though I don't have much (okay, any) experience with finding books, I do think it's much harder for international bloggers. Thanks so much for this program! Great program. i absolutely love Shweta's reviews. As a middle school teacher myself, all the books I buy end up in my classroom, but I will definitely share some books to with a fellow middle school teacher. Thanks for the address. Lenore, I am thrilled to read all these comments! My students are going to be so excited by the book flood heading our way. With no book stores on our island, we only get books through donations (and what I can purchase). Still, we manage to do amazing things: the average student's reading level increases by over two grade levels in 10 months. Some of our kids go from 5th grade to 11th grade reading level in one year. It's all thanks to a plethora of awesome books. THANK YOU! Lenore - great program! 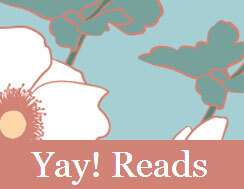 I've been introduced to some fab blogs now :) (yes, I am now following all those mentioned here. I hope to comment...soon (although I don't comment much, I always read posts). This was really fun. Thank you so much! Lenore, I really love this international mentor program you have going here...it is wonderful and I get to be exposed to so many great new blogs! Keep up the great work...is this only for YA bloggers?